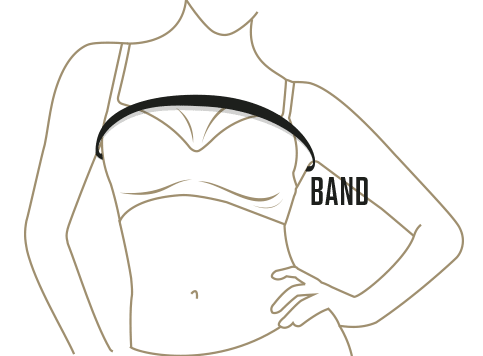 Pack of 3 comfy bralettes that are made with a soft and fresh SkinFuse® fabric, a seamless technology that minimizes seams and uses only the highest quality materials.. Elastic underbust band provides support and lift. Ideal to wear all day long. To avoid altered measurements, wear an unpadded/lightly lined fitted bra. Measure in inches around your torso or band, placing the tape measure just under your arms and above your bust. as illustrated.